The Sharpe ratio is known among others reward-to-risk as the best tool for evaluating and predicting the performance of fund managers. William Sharpe has developped the Sharpe ratio in 1699 and since then the Sharpe ratio, and its close analogues, have become widely uses in practice to rank investment managers and to evaluate the attractiveness of investment strategies in general. The goal of the Sharpe Prize is to seek the dynamic investment strategy that maximizes the Sharpe ratio. The Sharpe Prize is about investing and risk management. Shelton covent challenges you to construct the Sharpe ratio maximizing portfolio. The growth and increasing complexity of financial derivatives available today has made the alteration of portfolio returns increasingly simple and accomplish. The Sharpe ratio of a portfolio is the ratio of the rate of return to the standard deviation. So a higher risk premium and a smaller volatility allow for a greater Sharpe ratio. 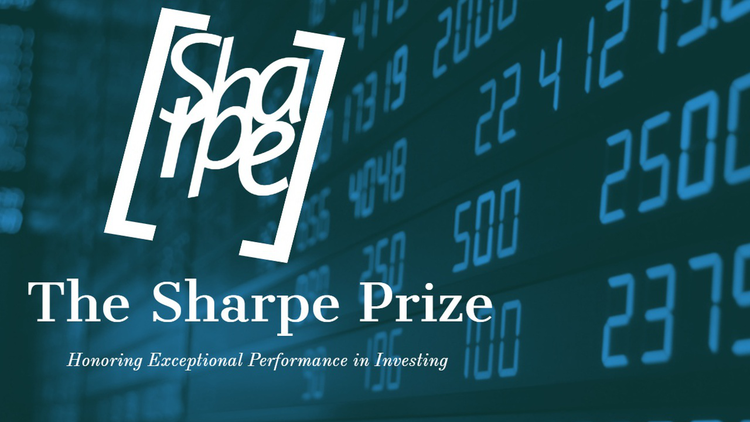 The Sharpe Prize competition will award $100,000 in total prizes money to the best investment strategies. The competition is open to individuals and business entities. To be eligible to participate in the Sharpe Prize, Individuals/Businesses must complete all registration and administration forms and open an account with the broker authorized by Shelton Covent. Share this challenge on social media using the icons above. Show your friends, your family, or anyone you know who has a passion for the financial markets and investing. Start a conversation in our Forum to join the conversation, ask questions or connect with other competitors. Please note: Investing involves considerable risks and is therefore not appropriate for all investors. Competitors should take into consideration the possibility of encountering substantial losses; it is therefore important to appreciate the possible consequences of investing. The Sharpe Prize goal is to seek the dynamic investment strategy that maximizes the Sharpe ratio. The Sharpe Prize competition will award $100,000 in prizes to the top five investment strategy with the highest Sharpe ratio. Achieved the highest Sharpe ratio than your competitors! Only Competitors with a Sharpe ratio above three point five (3.5) will qualify for the prize. The Sharpe Prize Challenge encourages participation from all adult individuals and business entities. Submissions must be made in English. All challenge-related communication will be in English. To be eligible to compete, you must comply with all the terms of the challenge as defined in the Challenge-Specific Agreement, which will be made available upon registration and not be a resident of the following territories: Belgium, New Zealand and USA. You should be aware that investing involves considerable risks and is therefore not appropriate for all investors. Competitors should take into consideration the possibility of encountering substantial losses; it is therefore important to appreciate the possible consequences of investing. Competitors should evaluate their understanding of the financial markets, their earning potential against the risks involved and act appropriately. Submissions must be made online (only), via upload to the HeroX.com website, on or before the stated deadlines. No late submissions will be accepted. After a succesfully submission, Competitors should complete an account application to open a trading account with a broker authorized by Shelton Covent. Based on the winning criteria, prizes will be awarded according to the performance realised by the competitors. In the case of a tie, the winner(s) will be selected based on the highest votes from the Judges. In the case of no winner, Shelton Covent reserves the right to withhold the Prize Purse amount. In place of the original prize amount, Shelton Covent must issue a Consolation Prize to the competitor closest to the winning solution in the amount of at least 10% of the total original prize purse.